Surgery for weight loss, known as bariatric surgery, has dramatically increased the number of people in the Indianapolis, Indiana area who have lost large amounts of weight, often greater than 100 pounds. These patients have large amounts of excess, unwanted skin. Excess skin folds may be found on the chest, back, abdomen, arms and legs. These skin folds diminish the improvement in body shape after weight loss, cause irritation within the skin folds, and make it difficult to find any clothes that fit. If you have lost a large amount of weight, talk to Indianapolis Board-certified plastic surgeon Dr. Joseph Fata and learn about your options for plastic surgery after weight loss by calling 317-575-9152. Dr. Fata performs the full range of plastic surgery procedures after weight loss at the Carmel Ambulatory Surgery Center in Carmel, Indiana near his Indianapolis office. The tummy tuck was one of the first body contouring surgery procedures described, and it is the most common procedure for plastic surgery after weight loss. The changes in the abdominal skin and muscles seen after massive weight loss are similar to that of pregnancy, only more severe. Therefore, it is a natural extension to apply the principles of the tummy tuck to the massive weight loss patient. The primary difference in this group of patients is that more skin is removed and the scar is longer (an extended abdominoplasty). A body lift complements an extended abdominoplasty. In a body lift, the tummy tuck incision is extended around the back to pull up the sagging skin of the buttocks and the thighs. Another plastic surgery procedure after weight loss is a breast lift. Most women who have lost large amounts of weight will see a substantial loss of breast volume, and they are usually left with loose, sagging breast skin. 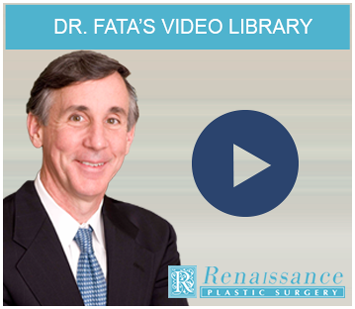 Dr. Fata uses the “vertical breast lift technique” because it produces a better breast shape with a shorter scar than more traditional approaches. In the massive weight loss patient, a combined breast lift/breast augmentation is usually needed to restore the breast volume. The basic principles of body contouring surgery developed for the tummy tuck lie at the core of the techniques used for the thigh lift and the arm lift, or brachioplasty. 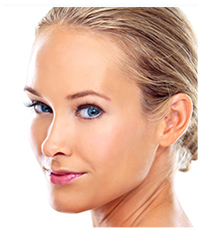 In a thigh lift, loose, sagging skin of the inner thigh is removed. If a small amount of skin is to be removed, the thigh lift can be designed to place the scar near the groin crease. In most massive weight loss patients, the amount of excess skin is too great to use this approach, and it is necessary to extend the scar as a vertical line along the inner thigh. In an arm lift, or brachioplasty, loose, hanging arm skin is removed. If there is a small amount of excess skin, it may be possible to place the scar in a fold in the armpit. Usually there is too much excess skin and the scar is placed along the inner arm in a groove between the biceps and triceps muscles. Dr. Joseph Fata performs plastic surgery after weight loss at the Carmel Ambulatory Surgery Center in Carmel, Indiana. Learn about your options during a one-on-one consultation: Call Renaissance Plastic Surgery at 317-575-9152 or contact us online today.